Integrity Safety - Serving all of your safety needs. Providing solutions for a drug-free and safer workplace. Providing drug and alcohol data management for employers and consortiums. Maintaining compliance with the U.S. Department of Transportation (DOT) programs. 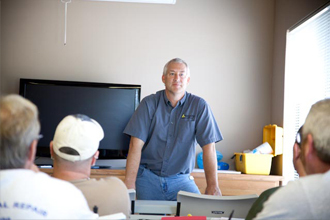 Our instructor led safety training provides the most effective education for your employees. The ability to combine classes and custom tailor the curriculum to the type of work you do ensures you get the most out your time and money. Integrity Safety Services is a team of dedicated safety professionals with a passion to develop and implement workplace safety, corporate loss control, and regulatory compliance solutions. Our staff has practical, real-world safety experience and brings to your business a realistic idea of what works and what doesn’t. We refuse to take a short range, cookie-cutter approach to developing workplace safety goals. We take the time to analyze your situation and develop solutions that fit within the big picture of your overall business needs. We understand the performance and budget constraints that affect your decision making. As your resource, we will help you ruthlessly think through all the options for your safety solutions. We recognize that solutions are not just about “today”, which is why we will help you be proactive and anticipate problems before they arise. You need “how-to” solutions to the problems that effect real people, and their safety is why we exist.